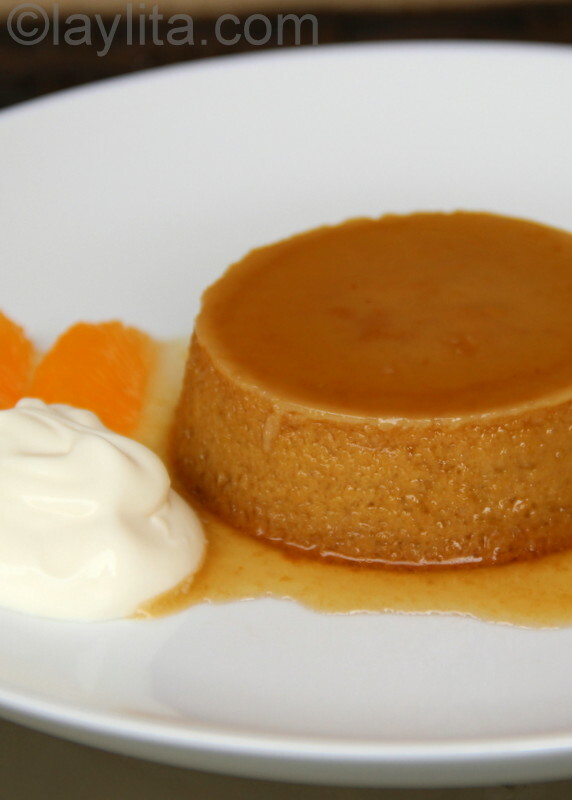 This easy pumpkin flan recipe is made with candied pumpkin cooked in brown sugar and spices, eggs, cream and orange liqueur. 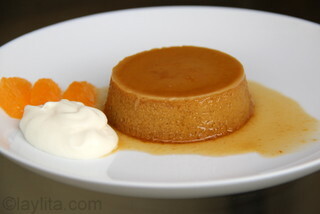 Yes, another recipe using dulce de zapallo or squash/pumpkin cooked until caramelized in spicy panela syrup. As you can tell I made a lot of dulce de zapallo and still have another dessert recipe using it that will be posted one of these days. 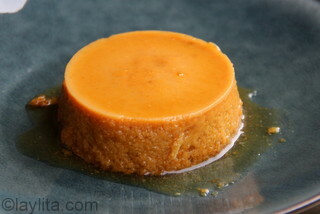 This flan recipe was actually my husband’s unintentional idea. 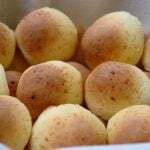 Last year around this same time I also made an overdose of dulce de zapallo. While I was making the pumpkin tart he asked if I was making flan, he sees eggs going into custard like mix and assumes it must be flan. My answer was “I’ll make that tomorrow”. Of course, if he had known the amount of cinnamon that was in the candied pumpkin than he probably wouldn’t have been too excited about it. I don’t get how anyone can not like cinnamon, especially someone who is French, and on top of that, married to me. My strategy for his not liking cinnamon: ignore it, I figure that eventually he’ll have to start liking it. He still eats anything I make that has cinnamon, but I want him to love cinnamon. 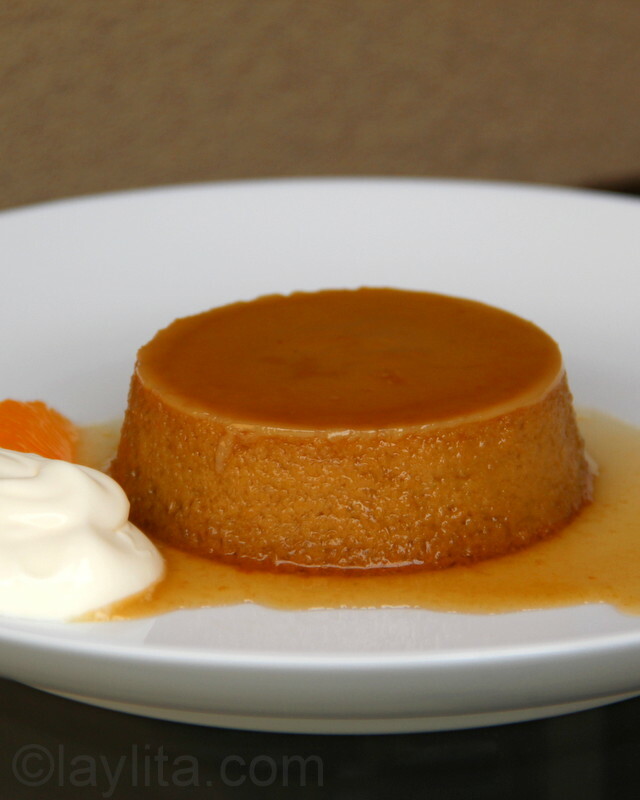 Easy flan recipe prepared with candied pumpkin cooked in brown sugar and spices, eggs, cream and orange liqueur. 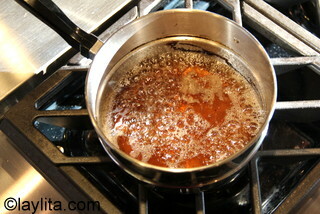 Combine the sugar and the water in a saucepan and cook over medium high heat, bring to a boil and let it continue boiling until the caramel starts to turn a deep amber color. 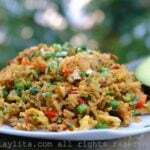 Do not stir while it is boiling, but keep an eye on it as it can burn very quickly during the last minutes. It should boil for about 8-10 minutes. 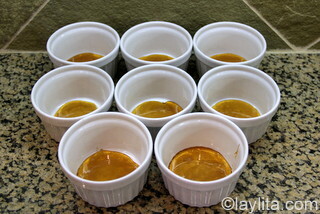 Pour the hot caramel into lightly greased flan molds or ramekins. 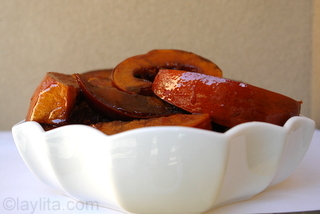 Use an electric mixer to puree the candied pumpkin or squash pulp. 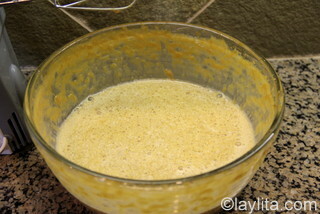 Add in the eggs and continue mixing until well blended. Use a whisk to stir in the cream and orange liqueur. 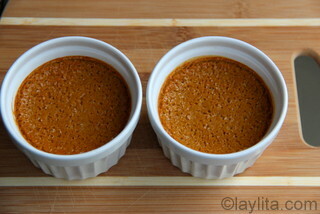 Pour the pumpkin flan mixture into the ramekins. Put the ramekins or molds in an oven pan filled with some water – the water should cover at least ½ of the height of the ramekins. 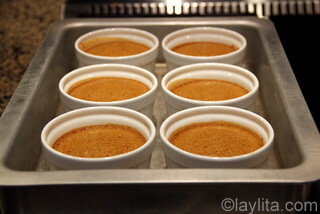 Bake the pumpkin flans at 350F for about 45 minutes, or until the flan is set. 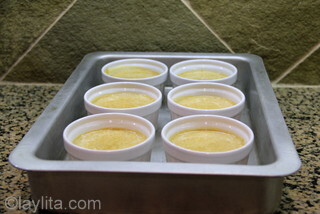 Let the flans cool completely, then refrigerate for a couple of hours. Serve alone or accompanied by honey crème fraiche sauce and some slices of fresh orange. 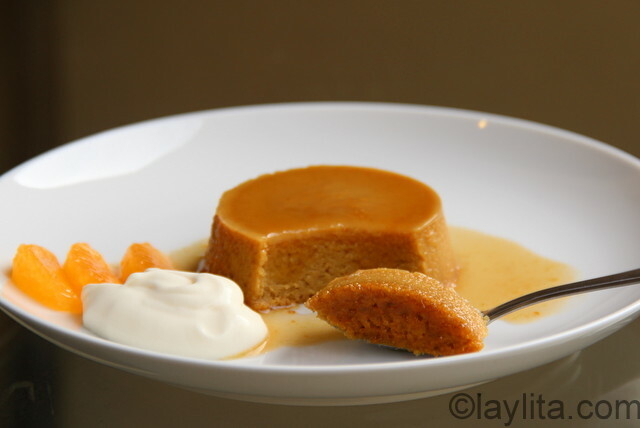 Back to the pumpkin flan, like most flans it is very easy to make. Yes, it would be even easier if you used store bought pumpkin pure, but please don’t. 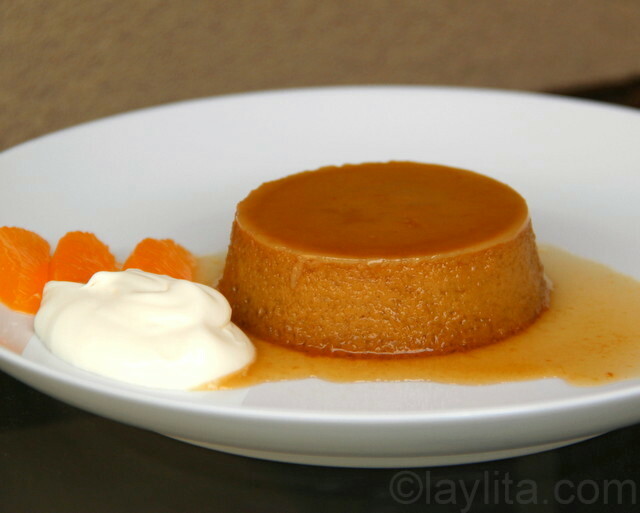 Cooking the fresh pumpkin (or squash) with panela, a type of hard brown sugar, and spices until the pulp is candied, give this flan the most delicious and comforting taste that you just won’t get with the canned stuff. Plus, your house will smell amazing when you make the dulce de zapallo. The next part of the process is to mix the candied pumpkin or squash pulp into a puree with eggs, cream and a dash of orange liqueur. Then bake, cool down and enjoy! I like your version with the addition of the Grand Marnier. Happy Thanksgiving!